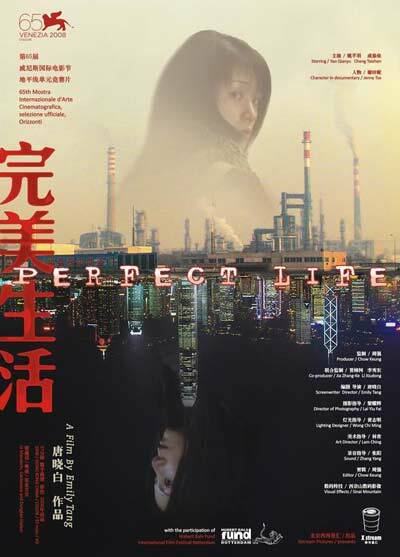 "Perfect Life" follows the path of two women struggling for independence in modern day China. Li Yueying lives a haphazard life in the city of Shenyang. She auditions for an entertainment troupe, but eventually settles for a job as maid in a plush hotel. While working at the hotel she meets a Mongolian businessman who makes repeated passes at her. Jenny moved from the mainland to Hong Kong several years back and is now going through a messy divorce. She bounces from job to job, while having to support two daughters.